Canada’s first ever crowdfunding summit will be held in Toronto on March 3, 2015, providing a space where interested parties can gather to highlight best practices, insights and trends in the industry. The National Crowdfunding Association of Canada, formed in 2012 to help create a vibrant crowdfunding industry across the country, is organizing the event. The rise of crowdfunding as a fundraising – and marketing – tool cannot be underestimated. It has emerged as an increasingly popular source of innovation and social capital for small to medium sized enterprises (SMEs), new ventures, projects and cause-based organizations. Craig Asano, founder and executive director of the NCFA, says the time is ripe for a national conference. 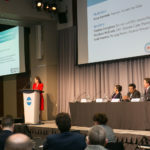 “The 2015 summit will be a first in Canada, bringing together financial innovation and crowdfunding leaders to help shape the future of the Canadian industry,” he said. “With so much activity happening on the US/UK conference circuit, it’s about time Canada showcases the remarkable economic growth, innovation and entrepreneurship occurring every day in crowdfunding markets across Canada,” he added. According to Asano, the global crowdfunding industry experienced explosive growth from $1.5 billion raised in 2011 to over $5 billion in 2013. The World Bank released a report in October 2013 predicting that crowdfunding could blossom into a $96 billion industry. Next year’s one-day educational event will feature high profile keynote speakers, panel discussions, workshops, entrepreneurial pitches, mentor sessions and a trade show showcasing Canada’s most forefront crowdfunding platforms and service providers. The program covers a diverse range of topics including crowdfunding governance, market data, infrastructure, social enterprise and charities, opportunities for new entrants, and global perspectives. The event will take place at MaRS Discovery District in Toronto. News this week that a Canadian startup raised $450,000 in one month through crowdfunding gave the movement yet another high profile boost this week. Thanks to the money raised, Dream Qii, a robotics firm based at Ryerson’s Digital Media Zone incubator hub, can now bring its product to market in the spring. It’s stories like this that are making people sit up and take notice. Conditions are favourable in Canada for startups to make use of the tool. In March of this year, six provincial regulators announced proposals for crowdfunding exemptions that would allow early stage companies such as start-ups and SMEs to raise up to $1.5 million of capital online through the issuance of securities.